Claas Harvest Centre product manager (Amazone) Blair McAlwee says the new EasySet controller allows easy and precise spreading at the touch of a button. "This simple electronic controller allows the operator to adjust the shutter slide setting on either left or right opening from inside the tractor," he says. "This allows them to adjust the application rate on either side ‘on the go’ or to shut down one or both shutters at the headlands." 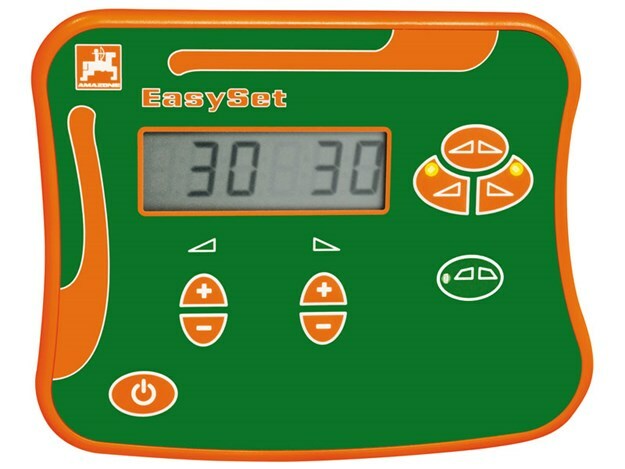 The EasySet controller can be quickly mounted inside the tractor. EasySet is entirely electronic, so no hydraulic hoses have to be coupled unless the optional border spreading device is fitted, in which case a double-acting spool valve is necessary. 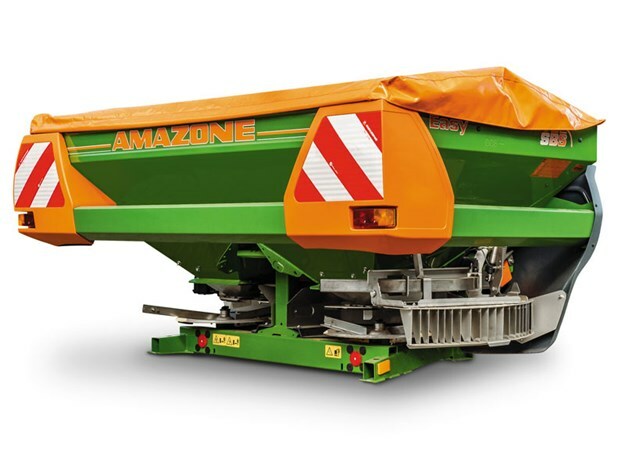 The ZA-M range includes two base models with 1000- and 1500-litre capacity hoppers. The latter can be extended to 3000-litres. "The new controller makes ZA-M even easier to use," says Blair. "It’s an ideal unit for farms wanting simple, reliable and accurate fertiliser spreading operations over large areas."